Just because some moments are too precious not to share. 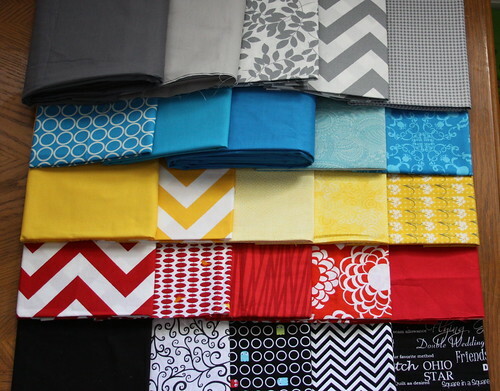 I pulled these fabrics mostly from my stash, with the exception of the two black and white prints in the bottom right . I had to buy those two special - apparently I rarely sew with black. I shrank the original block design down to 5" blocks, and my final pillow will be 3 x 3 blocks, with 1" sashing in between. With the first four blocks done, the feel of the pillow is finally starting to come through. Hopefully my partner likes where I am heading! PS. 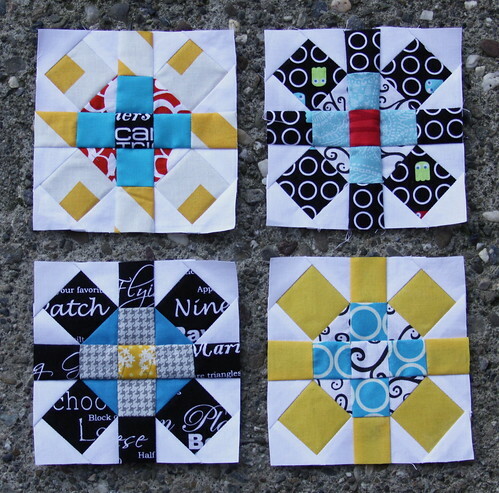 Finishing these blocks was my goal for the One Thing, One Week Challenge over at Amy's Creative Side, but I didn't manage to finish them all since I got sick on Thursday. But I am still pleased with my progress, even if it wasn't as much as I hoped.